These last few months I have been in skincare heaven. What I mean by that is, I haven't used a skincare product that I haven't liked. Even though that makes coming up with an actual routine a tad more difficult, I think I've found my groove with products that are helping keep my skin clear, looking fresh & giving me a great glow. In the shower using the Kiehl's ultra facial cleanser is amazing - I use it with my clairsonic three times a week and the other days I exfoliate with my trusty St. Ives Facial Scrub - I will never not buy this product! Once a week, usually on Sunday's I like to give my face a little extra loving and put this Origin's Clay Mask on. I purchased this back in August and still have a good amount left. The mask comes out pink (so fun) and then before completely drying leaves you with just a little tingle that goes away after the first or second minute. Is it weird that I love how tight the mask gets on my face...like I know it's working! I was interested in trying micellar cleansing water because of all the reviews I kept seeing on it and I wanted to see what all the hype was about. I like to use this right after the shower because it picks up any extra makeup I may have missed and really does a great job of cleansing my face. You really get the super clean feeling with this stuff! I spotted Neutrogena's Hyrdo boost in a magazine and took a picture because of how much it reminded me of the belief aqua bomb I tried in a Sephora play box. It might not be an exact dupe, but it's really close!! Speaking of Belief, I've been using the moisturizing cream on nights when my skin feels extra dry. It's very light and you get an extra burst of hydration as soon as it's applied on the skin. Before heading to bed it's a two step process - the first around the eyes. I've already raved about Kiehl's creamy eye treatment with avocado, but I'm here to shout out from the roof tops how much I love this cream!! I'm not sure at what point the dark circles started to appear, but I haven't been able to really find anything that works as well as this cream. It's pricier than most creams, but a little goes a long way, so it will last. The overnight mask from Origins is incredibly light weight, doesn't feel heavy on the skin and smells incredible! It keeps your face hydrated throughout the night and you end up waking up like you just had a facial - but without the redness! I think the product that's taken everyone by storm is the Ultra Repair moisturizer by First Aid Beauty. I only use this on my hands and it has saved me this winter and I even keep one at my desk! I'm a fan of switching up my beauty products, but I feel like I've found a ton of great products that will continue to be in my rotation for quite some time!! Have you used any of these products? What are some of your skincare favorites? I am saving this to refer back to - I feel like I NEED to try some of these! I got an email from Sephora not too long ago about a VIB special with Origins products and ever since then I've felt like I needed to buy some! I haven't worn a mask in years and I know it's time to put one into my skincare routine! And it's awesome that Origins comes out pink! I'd heard good things about Kiehls before. I haven't tried any of the products you mention but maybe I need to! Sounds like you found some winners!! These are all such great products especially the Micellar water! I love the way it gets every last bit of dirt on your skin! The water is SO awesome, I just started using it too and can't believe how well it works! Finding good face products that work is the best. I want to try that water and under eye cream!! I used to be so loyal to Origins and then I stopped shopping at Macys so I stopped picking it up. Your post reminded me that I need to go back and get some of their products! I love the belief moisturizer! Definitely one of my favorites! Origins is by far one of my favorite brands and I love all these products! I have been wanting to try something from Kiehls--maybe I'll start with the cleanser! Love this post! I have the Origins gray clay mask and I am so obsessed - I love it! I use the origins eye treatment for the day, but I don't have a night one, so I might go for the Kiehls. I don't have bad circles under my eyes, but I am super worried about wrinkles! I grabbed the Garnier micellar water a few weeks ago and I was disappointed by how many cotton pads and water I had to use to remove my make up. Someone said they were using it instead of make up wipes but I dont find that to be the case for me. I like how you are using it to remove excess make up after you wash your face, so maybe I will do that instead. I love the Kiehls eye cream!!! It really did moisturize under my eyes like nothing else First Aid is always great. I keep meaning to try the First Aid Beauty line but seem to always forget to look for it when I'm in the store! Making a note now haha thanks for the reminder! I saw that cleansing water at CVS yesterday and was intrigued. I'll have to pick some up today! I love posts like these! I exfoliated, did a mask and a pore strip last night and my skin feels brand new. I need to get one of the Clarisonic scrubbers! Also need to give the Kiehl's a try! i love the skincare sampler from sephora!! all of the products were hits. i was gonna share it last week, but cut it out of the video since it was sold out. that overnight mask is SO good. i'll buy the full size when i run out. and bioderma is always a fave. so gentle and good!! I love the idea of treating yourself with a pink mask once a week! That is great way to prep for the week to come :) and how adorable! i need that kiehl's eye cream. love. and i totally got some micellar water and love it. so gentle and really gets the job done. want to try that neutrogena hydro boost stuff. looks awesome! I've been using Kiehl's Creamy Undereye Cream for a few months and I absolutely love it! It's perfect to swipe on right before bed! So many great products! I really want to try that eye cream and I just got a clay mask from a different brand and I'm so excited to try it! I've been thinking of getting a cleansing water, I've heard such good things! Love those Origins masks, my friend has them and I tried them and they're really great at a nice price point! Great roundup girl. Definitely digging my Foreo Luna lately, it makes my face buttery soft after using it. I want to check out that Garnier cleansing water, great for before barre class. I really want to try that cleansing water especially! But seriously thanks for sharing all these - recommendations are the only way I find new things! So many good products-- I definitely am going to look into that avacado eye cream it sounds amazing. The belif moiturizer is sooo good- definitely one of my HG skincare products now! I've still never tried the cleansing waters, but I will look into that one. I Just picked up a sample of the Kiehl's face cleanser last week!! Can't wait to try it now! I need to try out that Micellar water! I'm intrigued. That eye cream seriously sounds amazing and I need to get that Origins mask! I am obsessed with the Belif moisturizer! It's so good. And I just started using a few Kiehls products and am loving those, too. Now I need to try the Origin masks! I've heard such good things about Kiehl's products and may have to try out that eye cream. I have the Neutrogena hydro boost and love it! Sounds like you have a great skin care routine. I'm interested to try the cleansing water, sounds like a great addition to my current routine. MUST try the under eye cream – I feel ya on the dark circles problem!! Great reviews! I need one of these masks and the cleansing water. And the eye cream when I run out of mine. I feel like I've really hit a groove with my skin products right now too. I love when that happens! I'm not using them right now, but I'm a huge fan of Origins products. I've been reading a lot of reviews about the Garnier cleansing water, too! I'm a bit confused, is it a toner, makeup remover or both? I've been trying to find an oil based makeup remover because I don't like tugging on my skin with wipes anymore. I'm not sure if this has any oil in it or if it's just good at taking off makeup, curious to know if you've tried it as remover. I was given the Neutrogena hydro boost and I have yet to use it, I don't know why really, haha! Thanks so much for sharing, beauty, I really enjoyed this post! I hope you're having the best start to your day so far! I just tried my belief aqua bomb and I loved it! 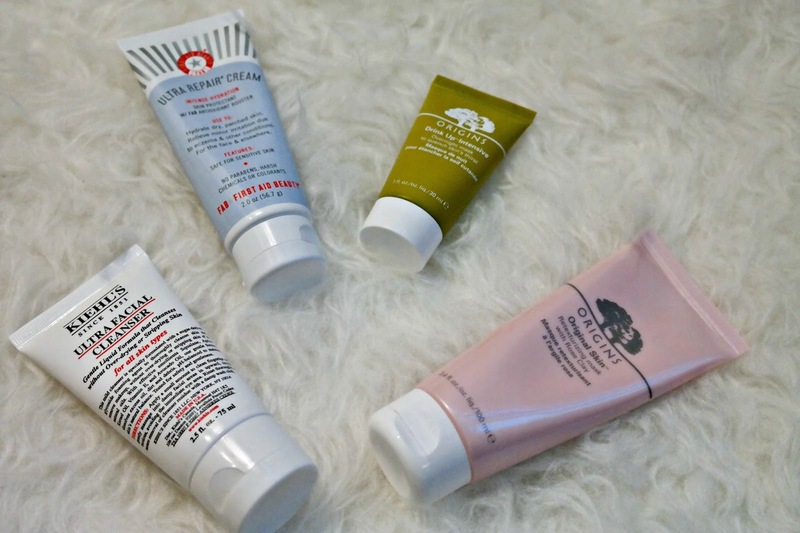 I also tried my first kiehls moisturizer and loved it too! I'll have to add the under eye cream to my bag at Sephora and give it a try too! I'm always looking for new products to try! It's always such a relief when we find products that work well on our skin and we love enough to keep using! The sound of the Origins Overnight Mask entices me, might have to look into it. So many goodies in this post! I've been having such a hard time with my skin, so I'm all for new recommendations. I'm going to look into that micellar water, and how cute is the pink packaging of that Origins mask?! I've been debating trying the Garnier Miceller water for a while, and I;ve also had my eye on the rose clay mask! I use a lot of the same products as you girl, I do need a new eye cream because I don't think my Origins one has been as great as I need it to be so I'll be trying out that Kiehl's one. I have all those Origins masks from Christmas gifts so I need to try some of them :)! That is great way to prepare for the week! Thanks for sharing, I really love beauty post! I'm in love with origins. I have thought about buying a Clairsonic. Skin care is so important. That cleansing water sounds interesting... I have terribly dry skin on my face, so I'm always looking for cleansers that aren't so harsh. Skin care is so important! I've heard so much about Origins but have yet to try it. Thanks for sharing all of this. I've heard so much about micellar water lately-glad to hear you like it! Going to pick up that Origins eye cream ASAP. I've heard so many good things about Origins products!! I need to take the plunge and get some! I love both of those Origins masks! I need to try out the avocado eye cream! Ohmygosh! I've been using that HydroBoost and is it not amazing? It's like your face drinks a whole glass of water, and dehydration is no joke. Great picks! I use so many of these same exact products. i almost bought the neutrogena hydro boost thing the other day but when i got to the store, there were 2 different ones and i got overwhelmed not knowing which one to buy haha. i have been feeling really blah with my skincare lately and like i really need to step it up. i don't mind buying drugstore makeup or a few skincare things, but i don't mind investing on things that last a long time or really work, so i am going to try out that eye cream for sure. Wow these are really great product just did a post on the garnier cleansing water couple days ago I'm in love with it, I also got to try the ultra repair cream and I really like it as well. I haven't used any of these products, but now I have interest in them. I am in need of a weekly mask. Good to hear you like Micellar Cleansing Water. I've been meaning to pick up a bottle to try and I'd probably use it after showering like you. The price point is great too! I have got to do better taking care of my face! I've been lucky the first 36 years of my life to not have major skin issues, but now I need to prevent aging. I think my foolish years in the tanning bed may come back to haunt me! Thanks for your reviews. I'm going to check into these! I'm terrible with skincare routines, but I've been meaning to get better at it and I will be checking out some of your suggestions =) A nighttime cream is such a simple little luxury that I really should do. So many skincare gems here! I love that cleansing water from Garnier, too! I've really wanted to try Micellar water foreverrrr but wasn't sure how I could fit it into my skin regimen. I think you may have just given me the perfect way to do it, however! After the shower is GENIUS! You sold me, girl! I love the Belief moisturizer! 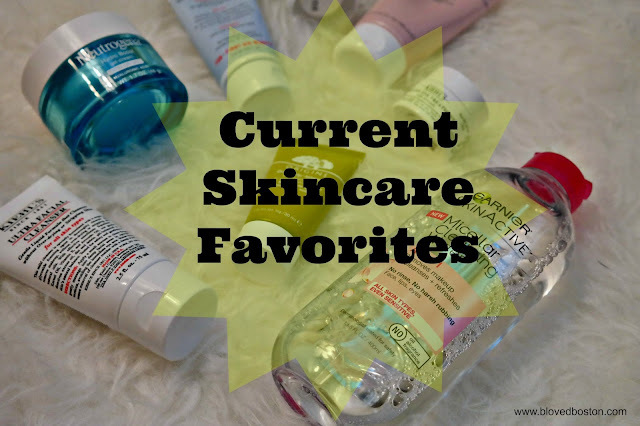 I am always on the hunt for better skin care products! Thanks for sharing!! I've heard good things about the Origins eye cream. Did buy the Kiehl's Avocado eye cream b/c of your recent post! Oo thanks for sharing! I love finding new skin care products or make up to try out! I will have to try some of these, they sound amazing! =) Thanks for sharing! I loooove that Origins sleeping mask- it's amazing! I live by the St. Ives face wash. love it! I've been on the hunt for a new skin cleanser and moisturizer so this is super helpful! Thanks for sharing! Great products.. the eye cream sounds great. 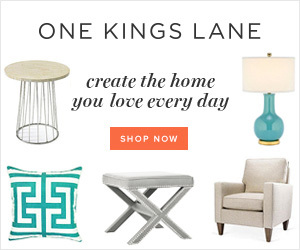 These seem like really great products, I would like to try a couple of them out. I love that you did this post! No joke, this morning I was thinking I need a new face wash bad! Do you happen to know if any of those are gluten free? Ok I've got to buy so many of these--- first off, the overnight mask, then the water--- but is it a cleanser or do you use a cleanser on top of it? I've been itching for some new skin care so this is great! I recently tried out he Micellar water after seeing so much about it too and I like it! I don't know if I repurchase but I'm definitely enjoying for now! I have been very intrigued by the miceller water, I keep hearing everyone talk about it! And I love the sound of an overnight mask, I need to look into that! I really need to try that Kiehl's eye cream. You've mentioned it before and now I must invest in some!! Sounds amazing! aahh totally want to try those kiehls products! I am ALL about the Micellar water! Seriously, I've never gotten more compliments than I do once I started to use it! Such a great faves girl! Omg its like we have the SAME exact bathroom counter. I use that micellar water, origins mask, belief cream and first aid beauty! All such great picks!